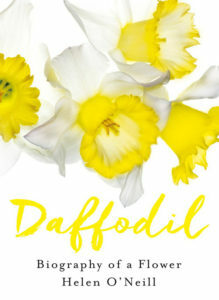 A new book on daffodils was published by Harper Collins on January 26 2017. Jackie Petherbridge has read the book and provided a personal review. Daffodil. Biography of a flower. 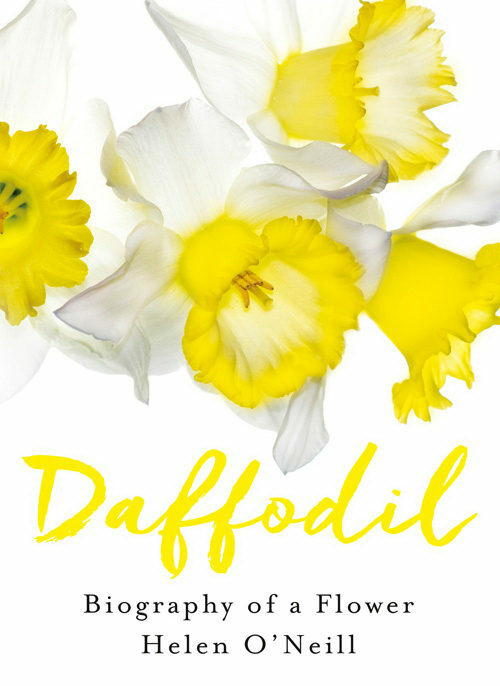 Helen O’Neill’s book is an homage to the daffodil; a flower resonant of her UK childhood home, the love of family and her inspiration through a tough time in her life. It reads as a labour of love and meanders purposefully and delightfully through the history, breeding and cultivation, inspiration and sheer joy of the flower. I can imagine her research took her into all sorts of intriguing facts and anecdotes she hadn’t considered when she started writing. Clearly one thing has led to another and she has judiciously assembled it all in a way that carries the readers interest along with her quest. The book is illustrated with all manner of excellent photos and plates chosen to enhance the text. Botanical drawings, flower portraits, woodblock prints, book illustrations and a daffodil stiletto all mingle happily with flowers in the landscape and are individually captioned at the end of the book. A little irritating when you have to leave the text to seek out the answer to each of the uncaptioned illustrations but it makes sense once you see the detail of the caption. There may well be some who might have highlighted other flowers, other hybridisers or other facts but this book does not pretend to be overtly scholarly or comprehensive. Instead this is a well written and accessible book where the daffodil story is being explored by an enquiring mind and a sense of wonderment. I think Daffodil enthusiasts and those who love flowers will enjoy it. Helen O’Neill is an award winning author, whose work has been published in Australia, the US and the UK. A number of Daffodil Society members have contributed to this book. Her books include the critically acclaimed biography of Australia’s iconic wallpaper and fabric designer – Florence Broadhurst: her secret and extraordinary lives; A Singular Vision, the illustrated biography of architect Harry Seidler and David Jones’ 175 years. This entry was posted in Books and Publications. Bookmark the permalink.